Help us save our nuclear power plant fleet. We could lose 15 plants in the next five years and 50 plants in the next 15 years. If this happens you can forget about mitigating global warming and climate change from an American perspective. We love wind and solar but there is no way they can replace the massive amount of baseload electricity produced by these emission free electricity assets. Help us keep Palo Verde open. It is the largest nuclear power plant in the United States of America. Moreover, closure of the plant will represent an environmental injustice. 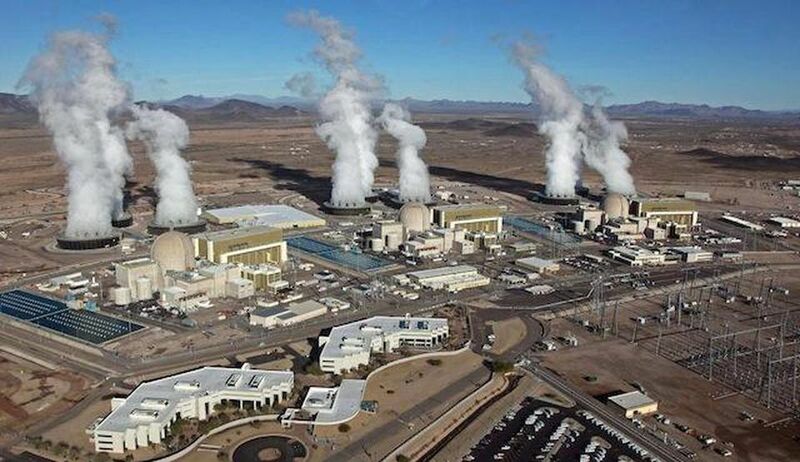 Passage of the renewables ballot initiative might look like a good thing on its face, but the closure of Palo Verde makes it a bad thing because the plant's massive baseload output cannot be replaced by renewables. Vote NO on this initiative. Passage of the constitutional amendment will create a Constitutional Crisis. It will pit responsible agency against responsible agency. It will undermine the state's ability to meet the requirements of the Clean Air Act. EHJ's fiscal sponsor is the Center for Environmental, Commerce & Energy. Contributions are tax-deductible through the Center.